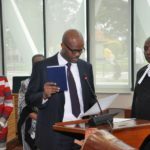 The Heads of State Summit held Wednesday in Arusha, Tanzania, appointed Dr Libérat Mfumukeko as the new Secretary General of the East African Community (EAC). 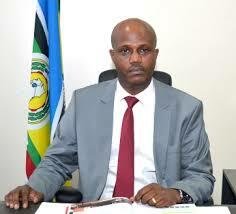 Mfumukeko, who is expected to assume office in April replacing Dr Richard Sezibera, is Burundian. He has been the Deputy Secretary General in charge of finance and administration at the regional bloc, a post to which he was appointed last year. 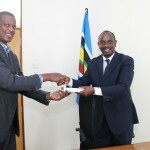 Before joining the EAC, Mfumukeko worked as the Director General of the Burundi’s energy and water utility, REGIDESO and was also the Chairman of the Steering Committee of the East African Power Pool (EAPP). 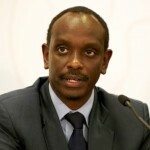 He replaces Sezibera, who has been the EAC Secretary General since April 2011. The 17th Ordinary Summit of the East African Community Heads of State also admitted South Sudan to the bloc, joining Rwanda, Uganda, Kenya, Burundi and Tanzania as the sixth member. President John Pombe Magufuli of Tanzania is the Chairperson of the East African Community.